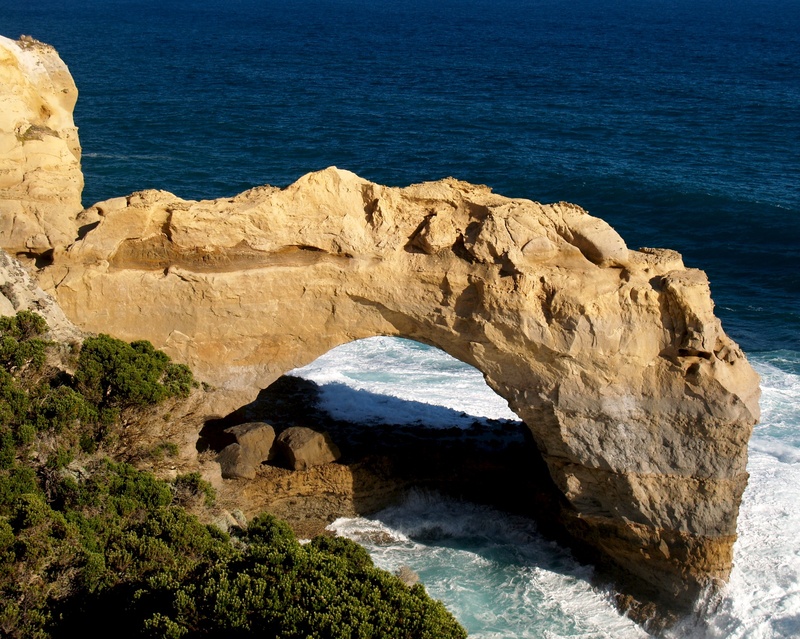 This rock formation is known as London Bridge because of its resemblance to the real bridge. 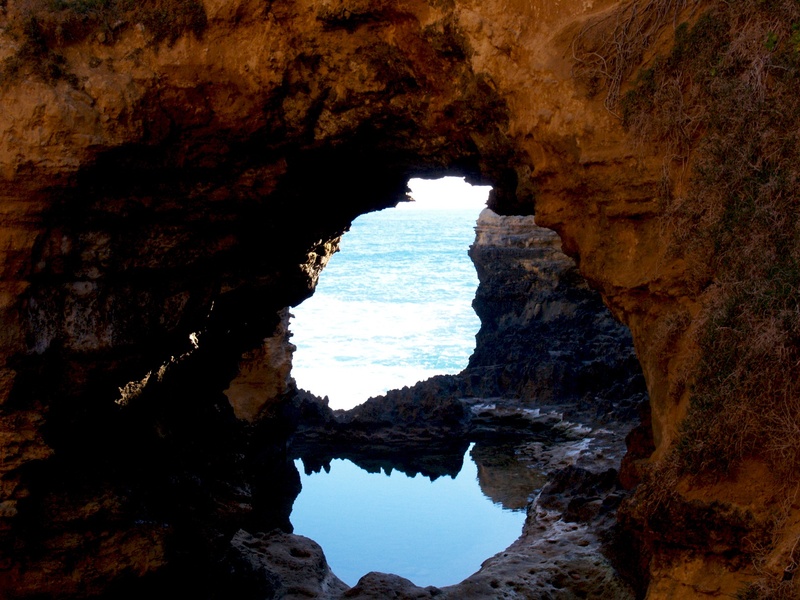 Until 1990, tourists could walk out to the end of the rock, but then one of the arches collapsed trapping two tourists. They were rescued by helicopter. 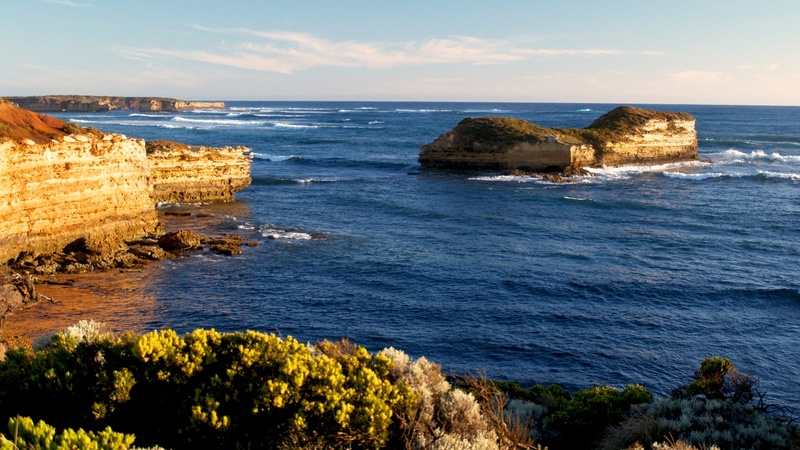 The Bay of Martyrs is just off the Great Ocean Road, Peterborough, Victoria, Australia. 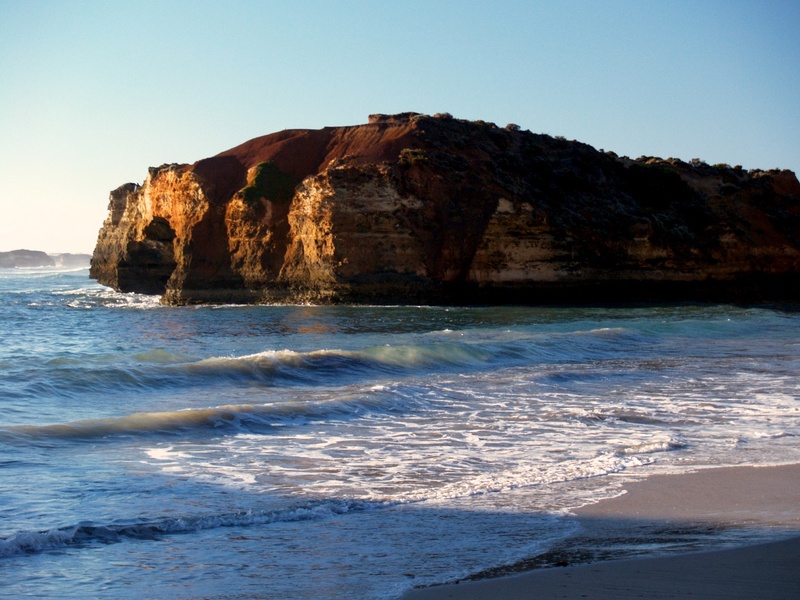 The bay contains numerous reefs and rock stacks, while the shoreline is mainly ten metre limestone bluffs. 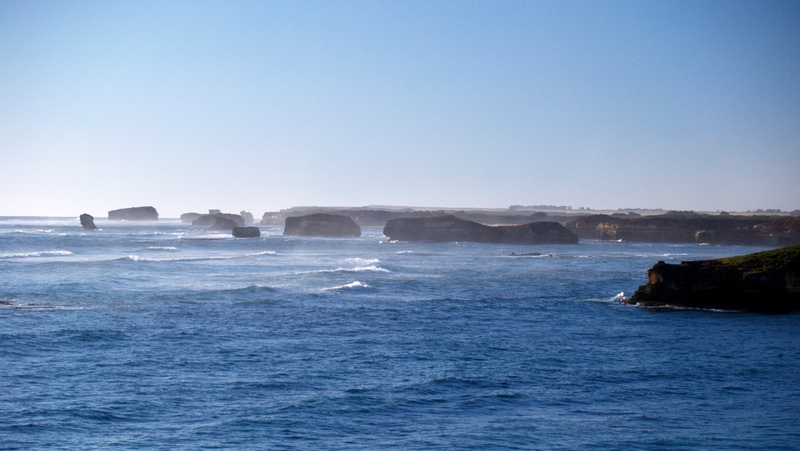 The Bay of Islands Coastal Park is situated on the south west coast of Victoria, Australia. 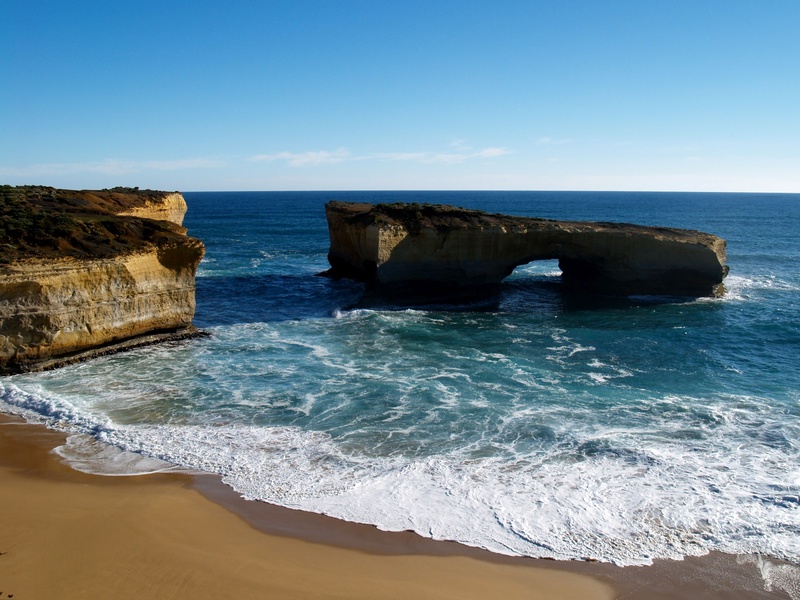 It is thirty-two kilometres long with outstanding ocean views and many other fine features, and is accessible by the Great Ocean Road. 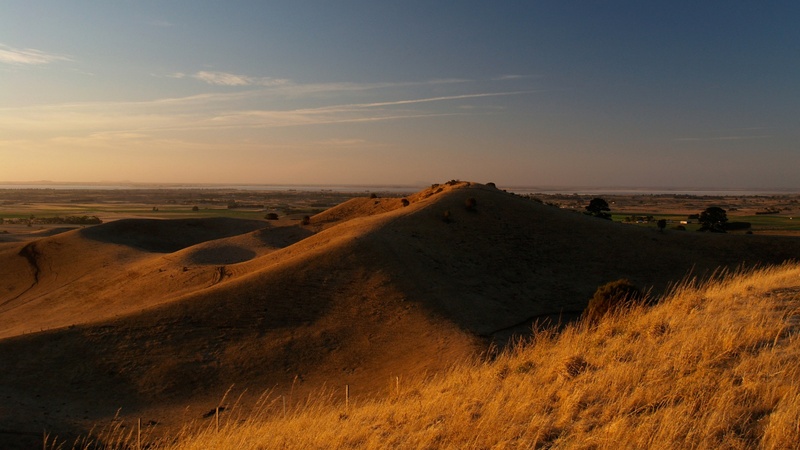 Red Rock Reserve is situated about ten kilometres north of Colac, Victoria, Australia. 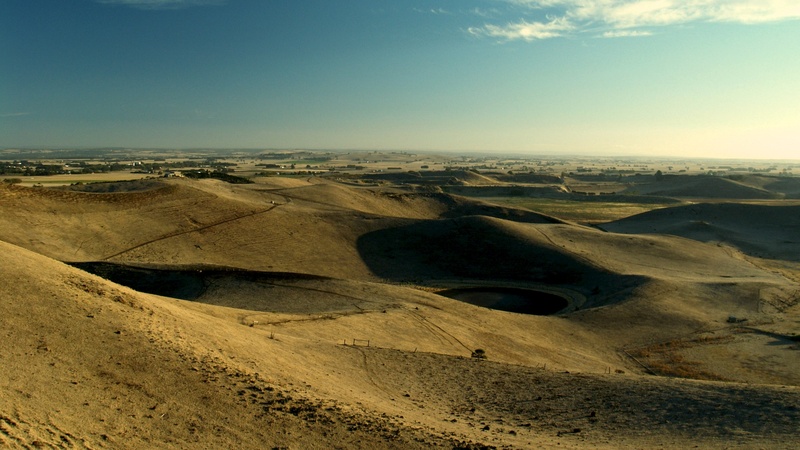 It is a major volcanic site and consists of several maar craters which, at times, fill with water forming small lakes. It is a sleeping volcano and there has been no activity for about 10,000 years. There is a look-out on Red Rock which overlooks the craters and the rich volcanic plains. 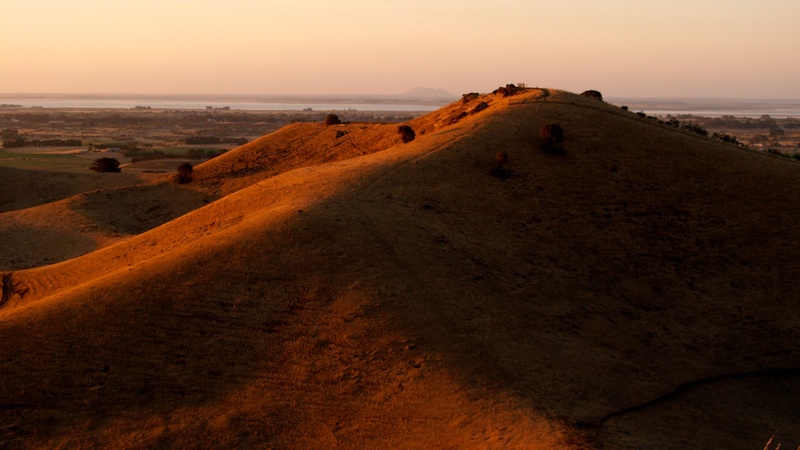 It also overlooks Lake Corangamite. 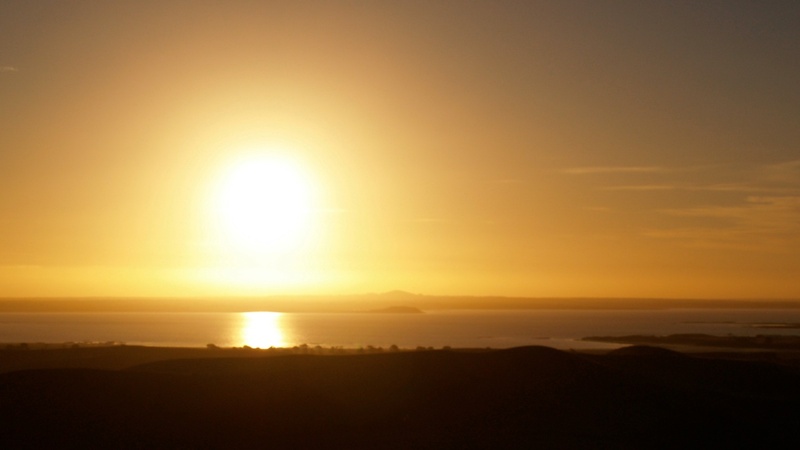 This lake is the largest in Victoria, but does not sustain any water creatures. It is seven times saltier than the ocean! 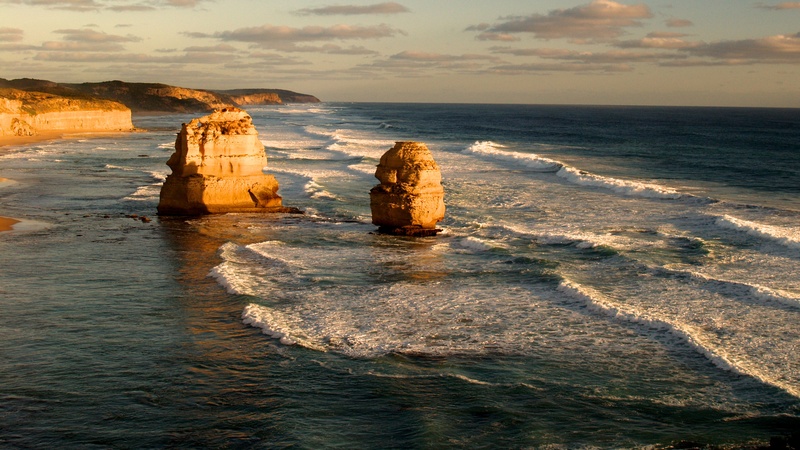 Formed up to twenty million years ago, the Twelve Apostles are rock stacks situated off the coast of south west Victoria, Australia. 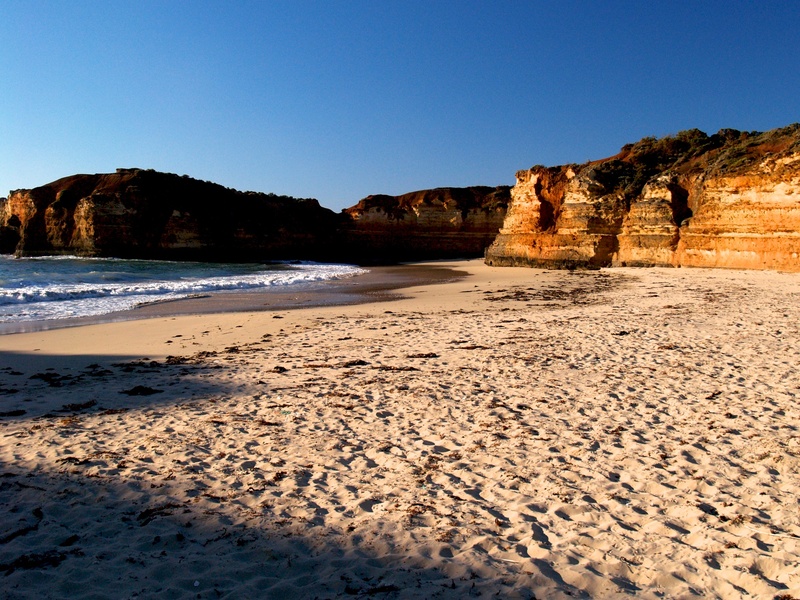 They are part of the Port Campbell National Park, and were formed by the ocean slowly eroding the limestone cliffs. 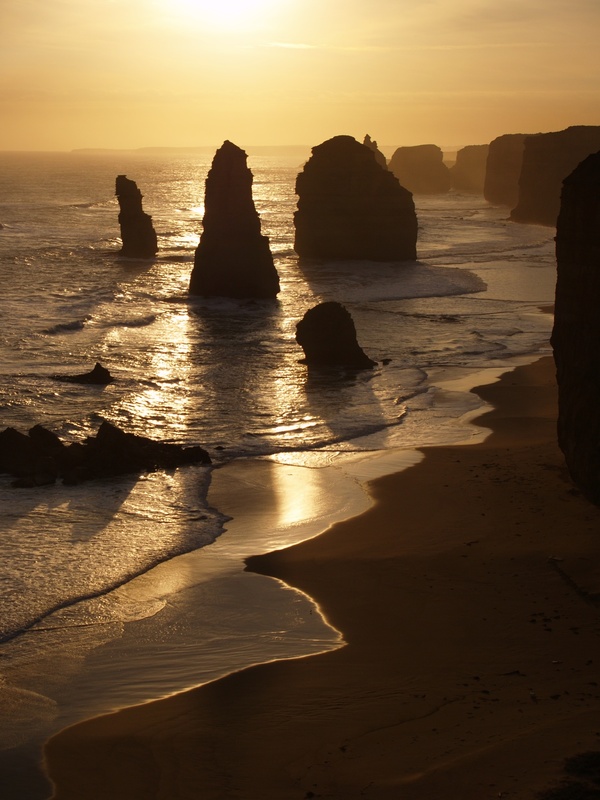 The Twelve Apostles are one of Australia’s iconic destinations where thousands of tourists visit every year. 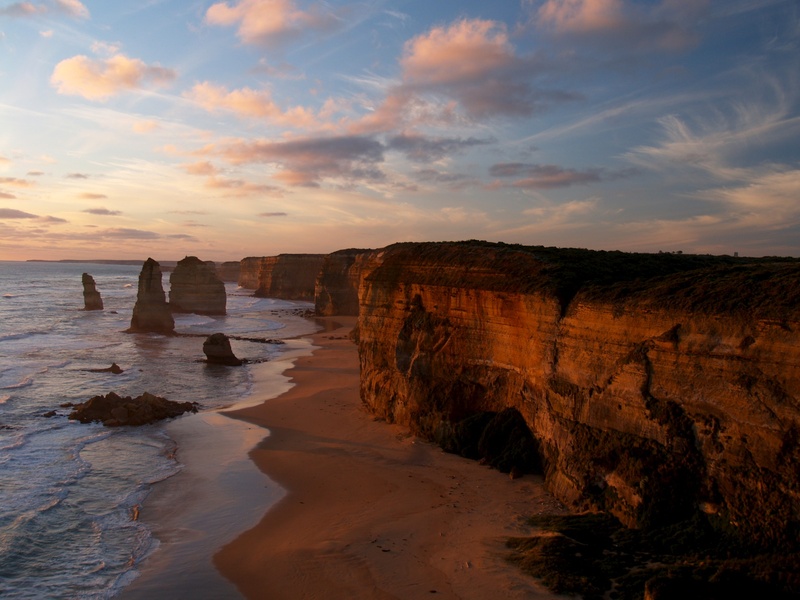 The Twelve Apostles – The pile of rocks in the foreground was once a stack. In 2005 it collapsed. 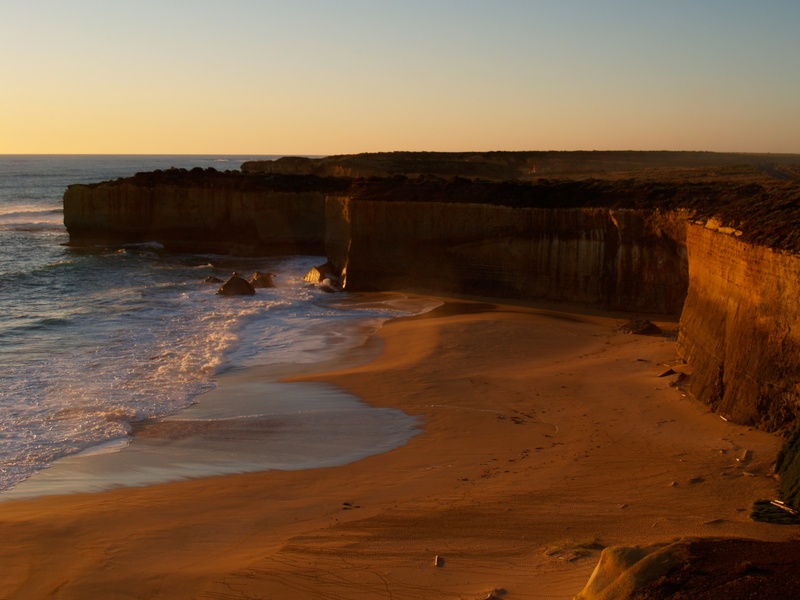 The Apostles, Western View – The red glow of the sunset highlight the cliffs. This image is of the trunk of a Corymbia (formerly Eucalyptus) ficifolia or the Red Flowering Gum. 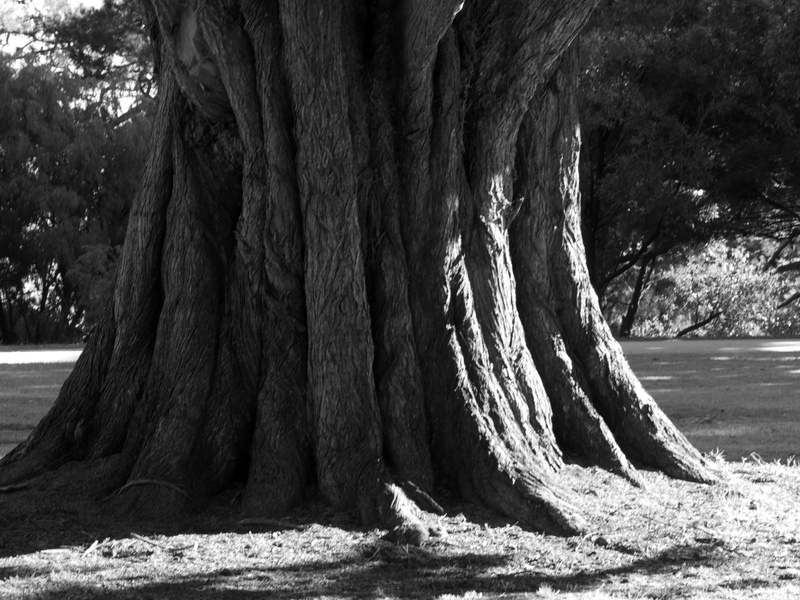 It was taken on one of my nature photo-walks through the Botanic Gardens, Colac, Victoria, Australia. The tree is native to Western Australia. I was drawn to the tree by the texture and the way the light fell upon it. I used an Olympus E-500 Digital SLR with an Olympus Zuiko 40-150mm Digital Zoom Lens. 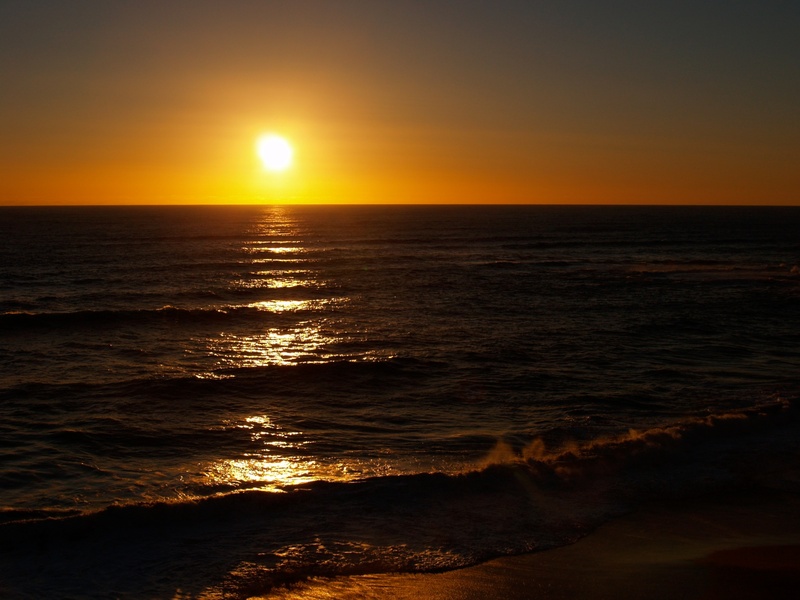 The settings were: ISO 200 – 68mm – f11 – 1/13sec. It was shot in RAW format. I often drive through the little town of Birregurra, in Victoria, Australia. Nestled in among the trees and houses, up on a hill, I can see the spire of the Anglican Church. 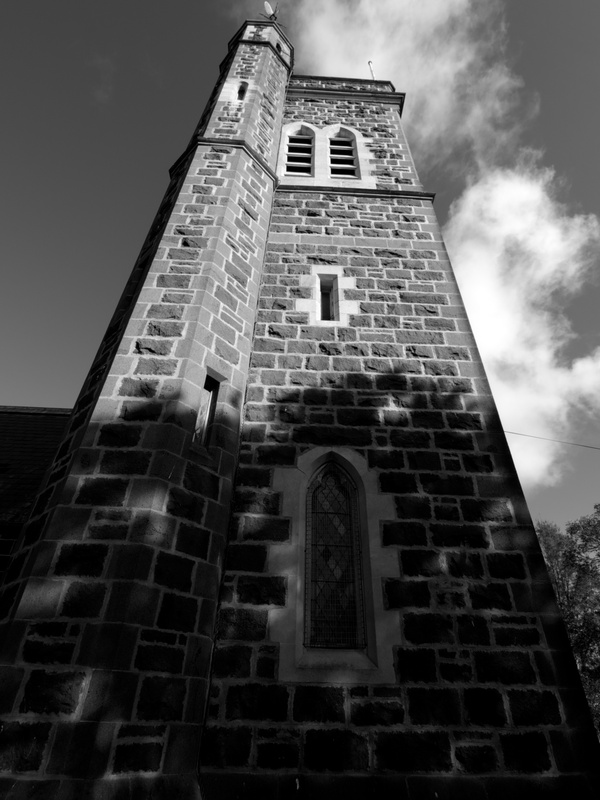 It is constructed of bluestone and was built in the 19th century. 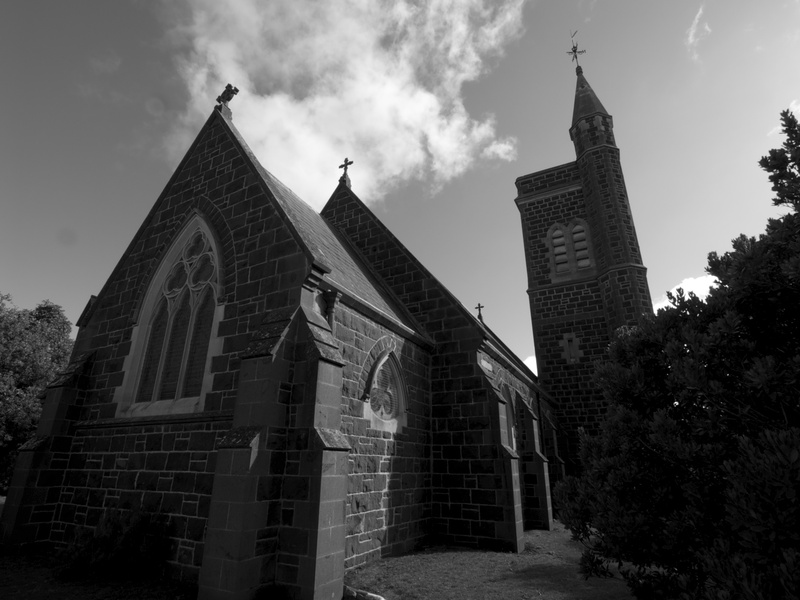 It therefore fits into my definition of a Historic Building – and, being bluestone, it makes a good black and white image.